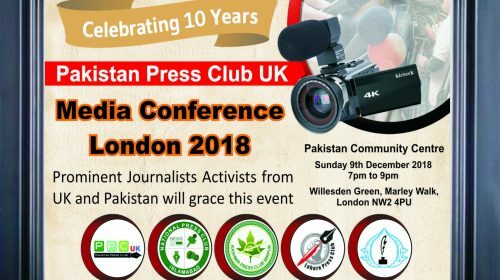 LONDON: The way the overseas Pakistani media men living in different countries of the world including United Kingdom upheld Pakistan’s image so high and acted in a responsible way projected positive aspects of their country ignoring negative propaganda before Pakistanis living abroad, was highly appreciable. 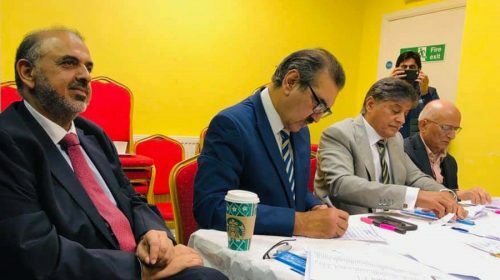 These views were expressed by Punjab Chief Minister Shahbaz Sharif in a special sitting with the delegation of Pakistan Press Club UK. 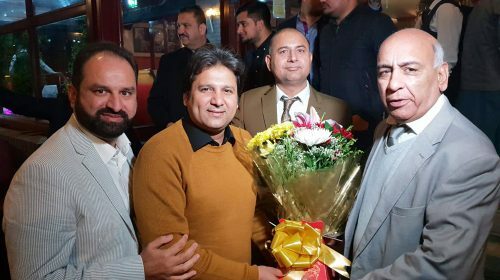 The delegation led by PPCUK President Mubeen Chaudhry was in Pakistan to monitor Azad Kashmir elections. 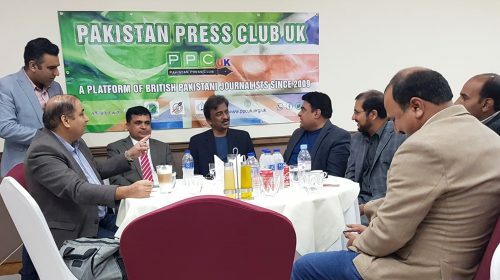 The delegation from PPCUK comprised Senior Vice President Arshad Rachyal, officiating Joint Secretary Majid Nazir, Finance Secretary Akram Abid, Information Secretary Musarrat Iqbal, members governing body Imran Khalid, Fareed Qureshi and General Secretary from Manchester branch Ishaq Chaudhry. 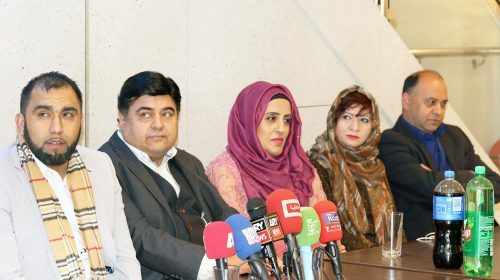 Press club delegation briefed CM Punjab that, “Pakistan Press Club UK exists as an organization of journalists for promotion of socio-cultural activities, programs of entertainment, safeguarding and promoting the rights and interests of its members in all matters concerning their profession and welfare”. 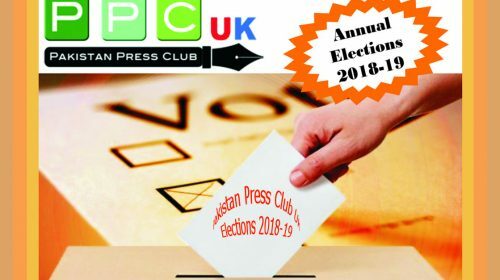 Pakistan Press Club UK is a platform of Pakistani journalists working in the UK. It came into being in March 2009 in London. 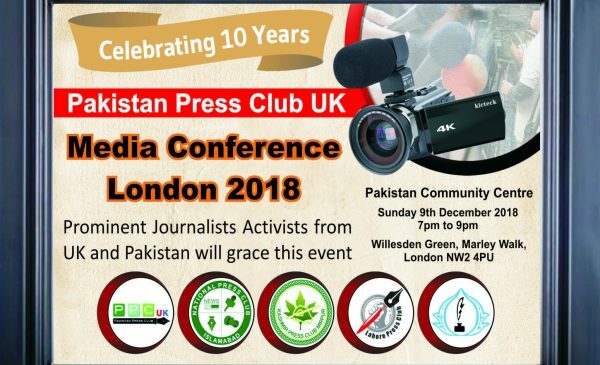 It emphasizes on networking activities with other media organizations within UK and Pakistan to foster a spirit of goodwill and unity among the journalist community. 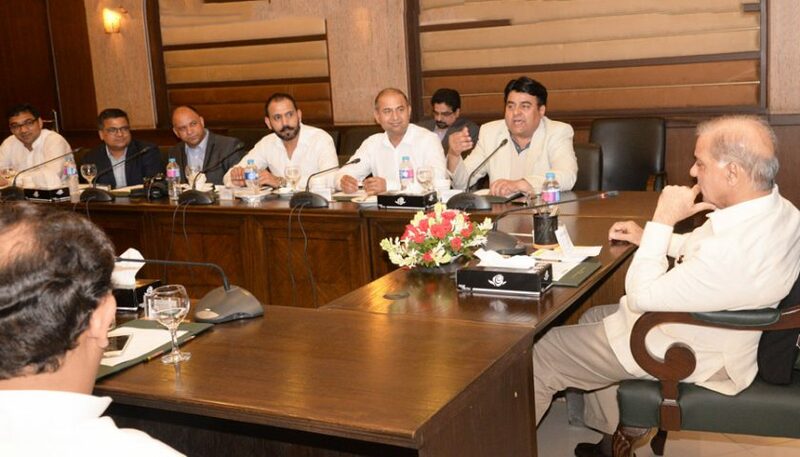 Punjab CM, in the meeting which lasted for an hour, also got updates about Azad Kashmir elections, he heard from the delegation about the problems faced by the overseas Pakistanis and discussed their possible solution. 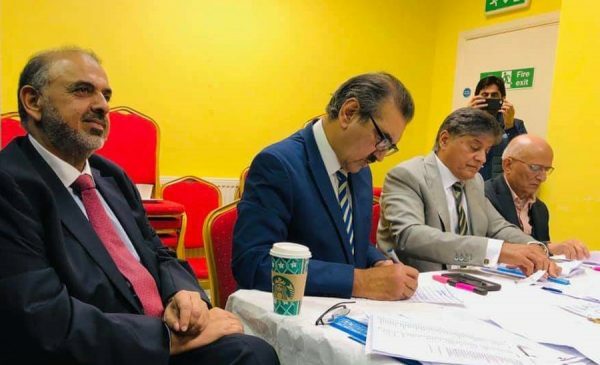 This meeting was also attended by Punjab CM’s trusted aide and senior bureaucrat Shoaib bin Aziz, Punjab Information Secretary Raja Jahangir, Overseas Punjab Commissioner Afzaal Bhatti and PTV’s Managing Director Muhammad Maalik. 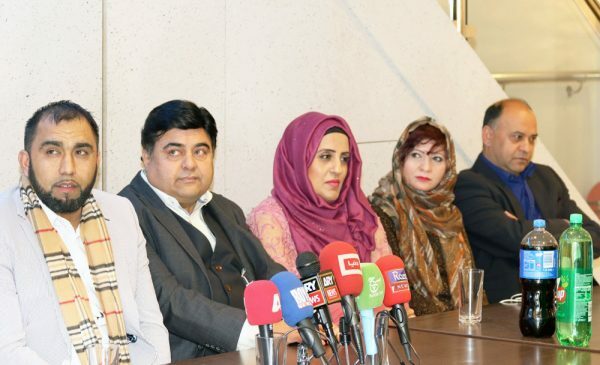 The chief minister said due to patriotic approach of the overseas Pakistanis, country’s foreign currency reserves were going up. The CM also heard about the details of the ongoing works in Azad Kashmir on priority basis from the journalists. 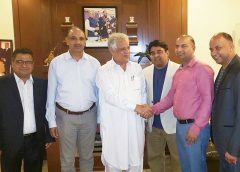 Later, the delegation was taken to Overseas Punjab Commissioner office set up to solve problems of the overseas Pakistanis belonging to Punjab. 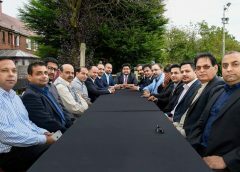 Commissioner Afzaal Bhatti, who has also been residing in UK, welcomed all the journalists and briefed them about the working of his office.